Advanced Basement Systems has the solution to this problem with our ThermalDry® Wall system. This radiant barrier will ensure that your heat stays in your home, improving energy efficiency and keeping your home more comfortable. 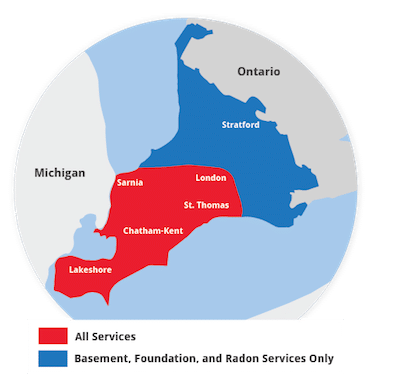 We install all our basement wall products in Sarnia, London, Windsor, Chatham and the nearby areas in Ontario, so call us today at 1-844-320-1542 or click below to get a free estimate!